Led by League Cycling Instructors: Muriel Gilman and Donna Palivec. This traffic skills course gives cyclist the confidence they need to ride safely and legally in urban traffic. The course covers bicycle safety checks, on-bike skills and crash avoidance techniques, and includes a student manual. This fast-paced course prepares cyclists for a full understanding of bicycle driving. This course also serves as a prerequisite for the League Cycling Instructor Training and Certification. * If you have registered for the Bemidji LCI training held May 15-17, 2019 and live in Bemidji, please contact Angie Gora at agora@bemidjistate.edu by March 20, 2019 for a promo code for a free registration to this Traffic Skills 101 workshop. All others please click below to register now. Instructed by League Cycling Coaches: Jan Matheus and Hokan. On-Camus housing available, checking in on Tuesday, May 14 and checking out on Friday, May 17 for a flat rate of $95 a person. Becoming an LCI is a great way to help your community. Participants spend three days learning the ins and outs of safe cycling, including bike law in Minnesota and teaching techniques on- and off-bike. LCIs who have participated in the program go on to teach Smart Cycling classes to children and adults, promote safe cycling education in their communities, and more. Must be a member of the American League of Bicyclists. Must have passed a Traffic Skills 101 course to be eligible to participate. Pedaling Ninjas gather for a casual bike ride each Thursday evenings @ 6pm. We ride bikes for about 5-10 miles each time at an easy pace. We meet to enjoy the weather, trails, and each others' company. We love new people, so even if you haven't biked for a while, join us for a ride! Our group likes to be social after the bike ride, and we usually patronize local businesses. The first Thursday of each month is a discounted pint at Bemidji Brewing for Ninjas, and each third Thursday is an ice cream discount at Big River Scoop. For more info on a particular Thursday ride, go to the Pedaling Ninjas facebook page. *Please note: You do not need to be a ninja to join. 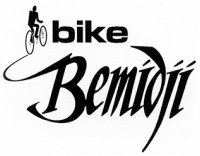 If you're interested in riding bikes and enjoying Bemidji, this is your group!